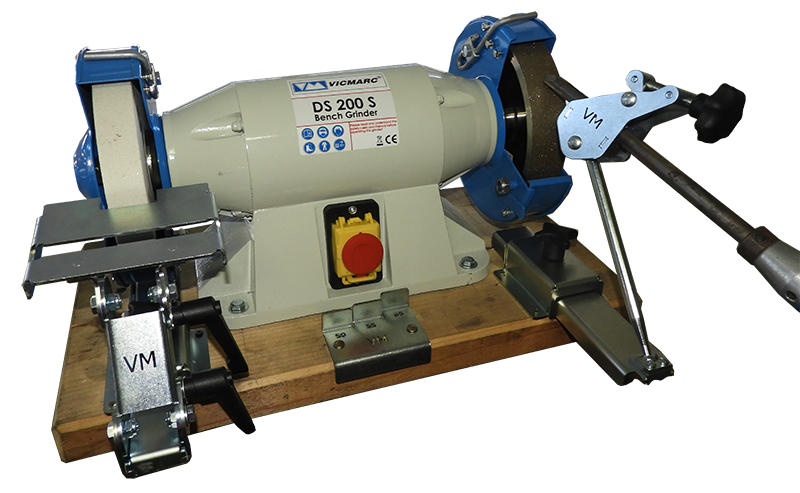 The Vicmarc Grinding System has been designed to make sharpening your tools quick and easy. This Grinding system allows you to get an excellent and consistent grind every time. The two components of the Grinding System are the Sharpening Jig and the Grinding Rest. Both can be purchased separately and can be mounted and used with most grinders. The new version 5 Sharpening Jig and Grinding Rest have been improved to increase stability and ease of use. The Grinding Rest also comes with additional gauges to allow accurate angles to be ground. As both Slide Bases are identical, swapping from the Left to Right is very simple and can be acheived by undoing the hand knob, removing one slide then replacing it with the other. The Vicmarc Sharpening Jig is used to sharpen bowl gouges, spindle gouges and a variety of other tools. The unique design of the Vicmarc Sharpening Jig gives you extra swing without any interference. The Vicmarc Grinding Rest is used to sharpen tools such as skew chisels, parting tools and roughing gouges etc. This system has been designed with pre-set angles, allowing you to achieve the same grind angle every time. 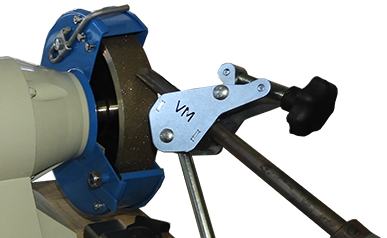 In addition by using a tool gauge such as the Vicmarc Manta Gauge, you can quickly measure and adjust your grinding setup to achieve your desired angle. For more information contact your local dealer or download the Sharpening Jig and Grinding Rest user manual, found in Downloads section.